Q. 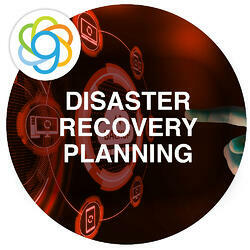 How can predictive analytics be used to create a disaster recovery plan? A. Predictive analytics can be applied to both physical and virtual assets to detect anomalous behavior to increase operational efficiencies. This allows faster failover, prevents potential disasters by predicting failures, and creates an environment where disaster recovery becomes a proactive item as opposed to a reactive item, which is how disaster recovery has been treated traditionally. With predictive analytics you are able to actively prevent a disaster from occurring. Q. What types of insights can be revealed using this approach? A. Common failure scenarios can be determined by using ML models and studying the data collected from sensors, machines or systems responsible for running infrastructure. Performance metrics can be collected and analyzed to increase operational efficiencies to fine-tune systems and hardware. Insights can be collected and analyzed to turn what was once a manual process into an automated and highly resilient system. Q. How can an organization get started with predictive analytics for DR planning? A. AWS offers a great toolset to harvest, analyze and learn from the data collected. AWS can also scale with your workload and allows organizations to test and validate for the systems they are looking to improve. From building a data lake strategy in Amazon S3, to storing structured data long term in RedShift for historical insights, to building and iterating quickly on Machine Learning models through SageMaker, AWS offers the most complete suite of tools to easily and frugally adopt a winning strategy for predictive analytics. Q. Where do you see these technologies heading in the future? A. We're really just seeing the beginning of this journey and its application. From e-commerce to manufacturing and supply chain, the amount of data collected today is astonishing. Through AWS, literally anyone with a credit card to an established Enterprise can tap into a massively scalable system to gain these valuable insights. Read the full article at SearchDisasterRecovery.com. Six Nines IT is a Premier Consulting Partner in the AWS Amazon Partner Network (APN) and AWS Solution Provider specializing in helping businesses migrate to the cloud responsibly. A member of the APN since its inception, Six Nines has successfully migrated hundreds of customers across all industries to the cloud and offers an unparalleled combination of speed, agility, experience, and proprietary solutions to deliver accelerated solutions and a rapid time-to-value. The Oakland-based company combines old-school, on-premises IT roots together with deep expertise and a laser focus on all things AWS – including a core concentration on High Performance Computing and Microsoft Workloads – to deliver bespoke solutions that are individually tailored to meet customers’ unique needs throughout the cloud lifecycle.